Founded in 1968, the Conejo Valley Audubon Society (CVAS) is an active chapter of the National Audubon Society. CVAS's 500+ members are from southeastern Ventura County and northwestern Los Angeles County. The chapter's membership is primarily from the cities of Oak Park, Agoura Hills, Westlake Village, Thousand Oaks, Newbury Park, Simi Valley, Fillmore, Moorpark, Somis and Camarillo. CVAS hosts monthly programs at the Western Foundation for Vertebrate Zoology (aka Camarillo Bird Museum) and frequent birding field trips throughout the Conejo Valley and Ventura County. Recent trips include the Conejo Botanical Gardens, Santa Clara River Estuary, Hill Canyon, Rancho Sierra Vista/Satwiwa, Oakbrook Regional Park and others. CVAS volunteers also consult with local residents interested in converting their yard into a native plant based oasis to help attract birds to your yard. For more information about CVAS, visit www.conejovalleyaudubon.org. Ventura County covers over 2,200 square miles, including 1,854 miles of land. Highways in Ventura include State Routes 1, 23, 33, 118, 126 and 125 and U.S. Highway 101. That's a lot of miles to cover and we love our cars...as evidenced by these local car and motorcycle clubs in and around Ventura County! And local car fans must stop by Murphy Auto Museum in Oxnard and the Mullin Auto Museum for some outstanding vintage car specimens. Looking for local social and hobby clubs? Click here! Counting crows. Maybe not literally, but figuratively, in the skies of the Conejo Valley, Simi Valley and beyond. We see the crows in the hundreds flying west in the morning and east in the evening ever so frequently here. These fellows were seen from the Conejo Valley Plaza, Moorpark and Janss Roads, the night of August 9, 2018. Speaking of birds, the Conejo Valley Audubon Society hosts birding activities year-round. 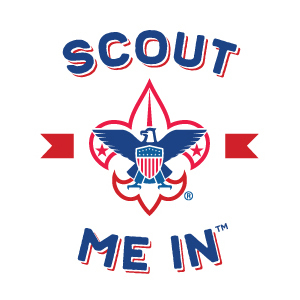 The Boy Scouts of America (BSA) recently unveiled the new Scout Me In campaign that features girls, as well as boys, in its iconic Cub Scout program for the first time. Starting this summer, all kids are invited to say, “Scout Me In,” as they join the fun, adventure and character-building opportunities found in Cub Scouts. Visit the Boy Scouts of America Ventura County Council website at www.vccbsa.org. Take a Hike with Popular Ventura County Meetup Group "The Moderate Hikers"
One of the most popular Meetup groups in Ventura County is The Moderate Hikers. The group is run by a local Thousand Oaks woman who started it with one vision in mind: To create a fun, social hiking group where everyone felt welcome. Katya Volpi, Hike Leader & Organizer, says it all started from her failed attempt at hiking. She joined the group on a hike and quickly found herself losing sight of everyone as she fell further and further behind. “Here I was, on an unfamiliar trail, by myself, not knowing where it was leading, but I kept going because I didn’t want to give up." Hiking four to five days a week on her own for several weeks, Katya developed her skills and became better and stronger, but after trying another hike with that same group, she found she still couldn’t keep up. “I didn't completely lose sight of them, and it certainly wasn’t difficult to finish the hike, but they were going at such a fast clip. I realized then that I am not super-fast, nor do I want to be. For me, it’s not a race, it’s an enjoyable, healthy activity. It was then I realized there was a need for a different option. I thought, there must be others like me that want to do a reasonable amount of miles at a moderate pace, so I decided to start my own group." You can find Katya and The Moderate Hikers at www.meetup.com/themoderatehikers. A Westlake Village Rocks group has been launched by CReATE STUDIO and Girls Club Strong to spread the joy of painting, hiding and finding cheerful rocks in the City of Westlake Village. And of course, you are encouraged to post photos of the inspirational, comical and/or beautiful rocks you have discovered, and perhaps re-hid, on the Westlake Village Rocks Facebook page at www.facebook.com/westlakevillagerocks. There is also a Newbury Park Rocks group and others around Ventura County.